At The Hamzy Law Firm, LLC, in Bristol, Connecticut, we believe that decisions involving child custody and visitation should be made by parents, not by the courts. You know your family better than a judge does. In Connecticut, child custody and visitation are referred to as parenting time. 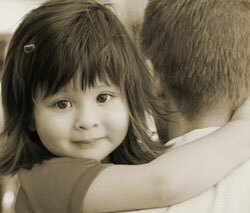 The terminology emphasizes the importance of both parents in the life of the child. Unless there are strong reasons not to, both parents will share in decision making and have frequent contact with children. Both parents have a responsibility to support children financially. Parenting can be shared equally or one parent can have primary physical custody while the other has visitation according to a schedule. As long as the two parents can agree on an arrangement, the court is likely to approve it. However, if the parents cannot reach an agreement, then the court will decide based on factors such as who has been the primary caregiver in the past, the lifestyles of the parents, and any evidence of child or spousal abuse. Whenever possible, our lawyers believe it is in your best interest and the best interests of your children to resolve child custody issues in an amicable manner. You and your spouse will need to share parenting responsibilities in the future. How you resolve disagreements now can serve as a model for how you resolve issues that may arise in the future. Our lawyers also handle modifications to child custody and visitation when your family’s circumstances have changed following your divorce. For more information or to speak to an experienced Bristol child custody attorney, please contact us online or by phone at 860-589-6525 to schedule an appointment.